Am I eligible to receive disability if I have dilated cardiomyopathy? What do I have to do to file a claim? The Social Security Administration (SSA) has a categorized list of medical conditions and injuries that it feels could qualify for disability benefits. This list is broken down into 14 separate groups, each dealing with a specific area of the body. Number four in this list deals specifically with cardiovascular ailments—which includes dilated cardiomyopathy (DC). Hypertrophic cardiomyopathy. Muscle cells thicken and block blood flow. 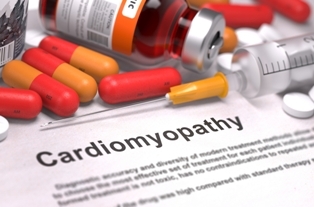 Restrictive cardiomyopathy. Abnormal tissue replaces healthy muscle cells, causing the muscle to become hard or rigid. Unclassified cardiomyopathy. Muscle inexplicably fails to pump necessary blood throughout the body. Dilated cardiomyopathy. Muscle chambers stretch and become thin. Dilated cardiomyopathy is the most common form of cardiomyopathy, and causes the inside of the heart’s left ventricle and atrium to enlarge. As the chambers dilate, the heart muscle can’t contract or pump blood effectively. As the condition worsens, it can cause shortness of breath, fatigue, heart valve problems, arrhythmias, blood clots, and ultimately complete heart failure. If you suffer from dilated cardiomyopathy, the SSA understands that working can not only be tough, but life-threatening. As a result, depending on the severity of your condition, filing for disability may be your best option. A thorough understanding of the SSD process. The disability claim process is complicated and can be extremely confusing. The SSA wants to ensure that every precaution is made to avoid fraudulent claims. This diligence is expected from the U.S. government, and may even be beneficial to those whose claims are legitimate because it weeds out undeserving candidates, which could improve your chances for approval. However, this convoluted process can be overwhelming without the right tools and resources, especially when you’re already dealing with a heart condition. A thorough confirmation of your condition by qualified medical professionals. Simply telling the board that you have dilated cardiomyopathy isn’t enough to be approved for disability—you must be able to prove it. Restrictions on severity, type of condition, and ability to provide for oneself all come into play when determining government aid. Consequently, for your claim to even be considered, you must show that the effects of your condition have a direct impact on your ability to financially provide for yourself and family. Medical records, physician statements, and diagnostics from your hospital can all be used as evidence of your ailment to help persuade the SSD board to give your claim the attention it needs for approval. A thorough description of the severity of your condition. The SSA not only requires that you have dilated cardiomyopathy but also that the condition is severe enough to warrant disability. Therefore, you must be able to convince the SSD board that you’re unable to continue working as a result of your condition. Employer statements and doctors’ notes that detail your limitations can go a long way in persuading the board of the severity of your condition. At Keefe Disability Law, we believe that your claim deserves to be as strong as possible, so the disability board has no other option but to approve it. Contact our office today to see how our knowledge, experience, and resources can help you build a case worthy of the benefits you need. Call 508-283-5500 to schedule an appointment.